A peaceful stroll in the moonlight. 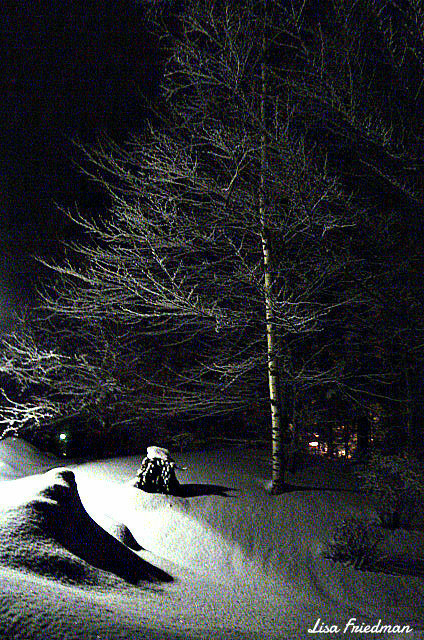 I love the feel of snow in the crisp air. There is something sort of magical to it. 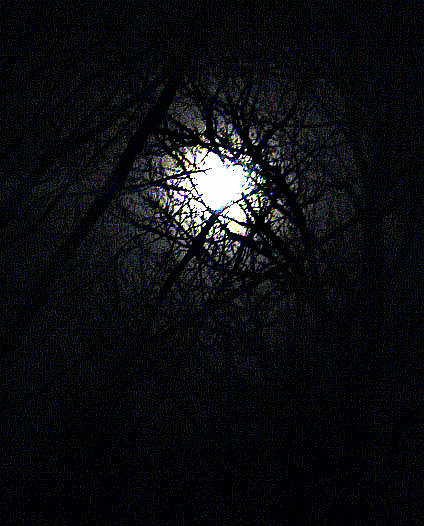 Moonlight through the trees on a cold winter’s night.